The Devendra Fadnavis government on March 1gave the letter of acceptance to the city-based engineering major that will build the project at a cost Rs 2,500 crore on an engineering, procurement and construction model. 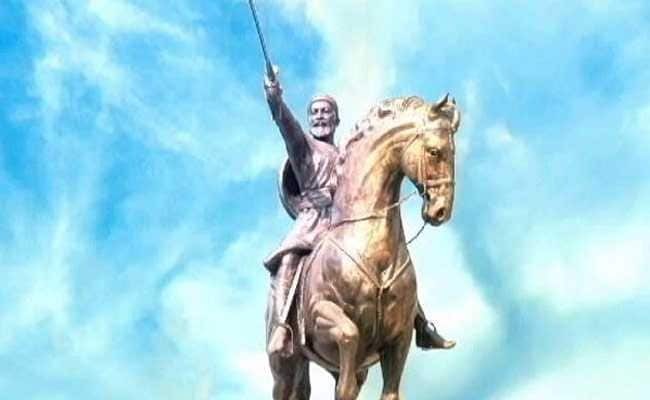 Mumbai: The 210-metre-high statue of the Maratha warrior king Shivaji has moved closer to reality with the state government finally awarding the contract to build the much-delayed memorial in the Arabian Sea to engineering major Larsen & Toubro (L&T). The Devendra Fadnavis government on March 1 gave the letter of acceptance to the city-based engineering major that will build the project at a cost Rs 2,500 crore on an engineering, procurement and construction model. The state had received three bids: from Reliance Infrastructure, Afcons Infrastructure and L&T in the second round of bidding. In the first bidding round around two years ago, L&T had quoted Rs 3,826 crore for the project, which was 1,326 crore more than the cost estimated by the government and thus rejected. Government had pegged the overall project cost Rs 3,600 crore, with Rs 1,100 crore for the second phase and the entire cost will be funded by public money. "L&T had qualified on all technical and financial aspects. Though it had originally quoted Rs 3,826 crore in the first round of bidding, after a lot of negotiations, the project was awarded to L&T at Rs 2,500 crore plus GST," a release from the state said. While RInfra lost the bid on technical competition round, Afcons quoted a project cost of Rs 4,779 crore. The project, to be built on 6.8 hectares of reclaimed land in the middle of the Arabian Sea off the Malabar Hill in south Mumbai, has been mired in controversy after the project cost ballooned to Rs 3,600 crore from what was first proposed eight years ago at just Rs 260 crore. Aspiring to make the statue the world's tallest monument, the state had sought approval from the Maharashtra Coastal Zone Management Authority to increase the height from 192 to 210 metres. In total, it had sought approvals from 10 different state and Central departments. Government wanted it to be taller than the 208- metre high Spring Temple Buddha statue in China, built on a hill, which was completed in 2008. The Shivaji memorial will have a temple, museum, hospital, entrance modeled on the Raigad Fort, which was the headquarters of the late emperor, and a theatre showcasing highlights of the Maratha warrior king's life. Another major feature is a lift that will take visitors right up to 180 metres or 60 floors inside the memorial, giving them a view from such height. A PIL was filed in the Bombay High Court last January against the project and sought to scrap the plan.